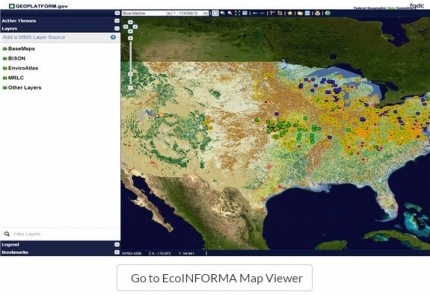 The newly released data sets include critical information about stream flow, soil, land cover and biodiversity, and are complemented by tools that will enable users to visualize and overlay data sets related to ecosystems, land use, water and wildlife. Together, the new data and tools will help farmers build resilience to the impacts of changing weather. What kind of climate impacts? The National Climate Assessment, released in May 2014, confirmed that climate disruptions to agriculture have been increasing and are projected to become more severe over this century, with potentially devastating impacts on the agricultural sector. These impacts include changes in crop yields – which could drop 73 percent in some states – and increases in food prices as a result of higher temperatures, heavier downpours, and more frequent and intense droughts. Average U.S. temperatures have increased by 1.3 to 1.9 degrees Fahrenheit since record-keeping began in 1895. Most of this warming has occurred since 1970. The U.S. will likely see more warming in the next few decades – possibly up to another four degrees Fahrenheit in some areas. The U.S. is seeing increasingly intense heat waves in the western portion of the country, and increasingly intense flooding in the eastern portion. Droughts in the Southwest and heat waves everywhere are projected to become more intense in the future. Climate change increases the likelihood of water shortages. The western U.S. relies heavily on mountain snowpack for water storage, and spring snowpack is declining in most of the West. The Climate Data Initiative is designed to connect farmers, food distributors and agricultural businesses with the data, tools and information they need to understand how these impacts are going to affect their operations and, ultimately, their bottom lines. The EcoINFORMA map viewer available on data.gov/ecosystems enables visualizations and mashups of spatial data related to ecosystems, natural resources and species. Beyond government data, the President’s initiative also calls private-sector innovators to leverage open government data and other resources to build additional tools that will make the U.S. and global food systems more resilient. So far, this includes commitments from Microsoft, IBM, Coca-Cola, Walmart and several other private-sector interests. It’s a nerve-wracking time to be a farmer. But it’s also exciting. 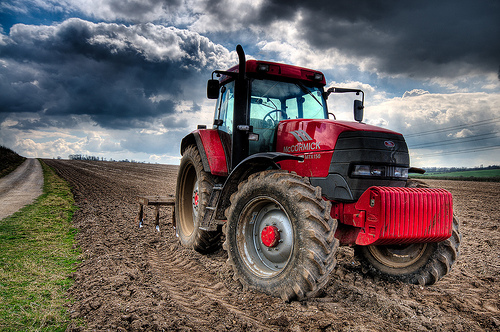 With production and profits so closely tied to increasingly unpredictable weather, it’s critical that we all work together to share and utilize all of the data, tools and technology at hand. With leadership from the White House and commitments from leading private-sector companies, I’m excited to watch us together, as a nation and a global food system, build a more resilient agricultural community. This entry was posted in Climate Resilience, ecosystems, Sustainable Agriculture and tagged agriculture, climate change, climate data, Climate Data Initiative, climate-smart agriculture, Coca-Cola, EcoINFORMA, IBM, Microsoft, National Climate Assessment, rebecca shaw, Walmart, White House. Bookmark the permalink. Both comments and trackbacks are currently closed.